Some of the last remnants of BHP’s massive steelworks legacy in Newcastle are to be scrapped under a plan by the state government to remediate former industrial land around the ports of Mayfield. In a move announced by local Newcastle press recently, the former steelworks pattern store, medical centre and master mechanic’s office are to be demolished very soon to allow what is termed ‘remediation’ of the site. 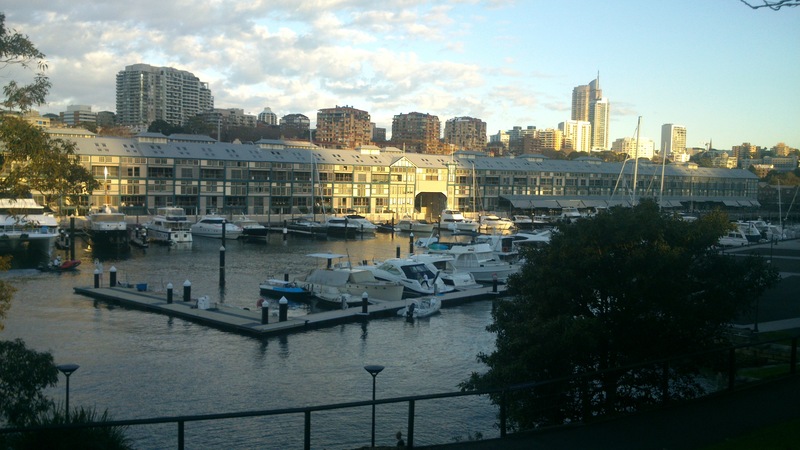 The land, to be leased out by the Newcastle Port Corporation to a private tenant under a 99 year scheme is prime development holding and the idea of sacrificing this heritage seems to be another rushed affair following a brief announcement over the Christmas period, and a refusal by the Port to avoid any public consultation over the demolition under state infrastructure laws. What exactly does this ‘remediation’ refer to…? Certainly the large tract of land occupied can be fully remediated without the need to remove these three relatively insignificant structures. This is not Fukushima after all; the buildings don’t have to be demolished so the topsoil can be excavated and the area steam cleaned free from reactor-grade plutonium…? 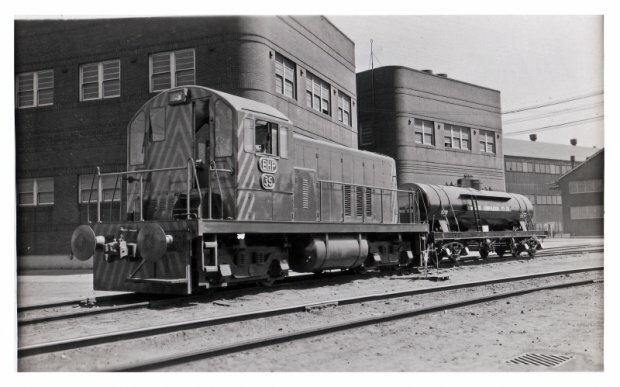 Diesel Loco No. 35 arrives by the Medical Centre, 1957. 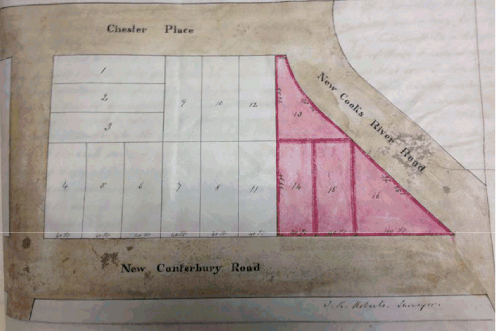 Image newcastle Industrial Heritage Association. Former steelworks pattern store. Image Newcastle Industrial Heritage Association. They were in fact the only three structures earmarked to be saved 12 years ago when redevelopment of the site was first slated… Here they have waited patiently while ‘remediation’ happens all around, and hopefully one day they will be restored and re-purposed to form part of the tapestry that makes up this site. A very important part too, being representative of the former vast empire of BHP, the steelworks which operated from 1915 until its closure in 1999, a gleaming relic of Newcastle’s industrial past. The steelworks pattern store, in particular, goes back even further, being constructed of sandstone blocks salvaged from a mansion that once sat on the Hunter River. Inheritance agrees whole-heartedly, and we will be sending an objection regarding the removal of any heritage buildings on site. We would also call for a proper independent assessment of the site and whether there is a real need to remove the heritage items. This proves that these buildings, on the outer verge of the massive 150 hectare site, far away from the heavily contaminated Area 1, are in a low risk zone and do not need to be removed at all. Not only this, but as part of the remediation process to date, two large stormwater drains were created at the eastern and western edges of the site, and the land re-shaped so that contaminated groundwater and surface water would be directed towards these drains rather than into the Hunter River. As can be seen the three buildings in question are on a higher fall of land away from the river and as such contaminants naturally drain away from these areas. (see images below including drainage arrows). What I find rather strange is that the state government finds no problem with the proven high levels of airbourne pollution created by coal dust from open rail carraiges thundering all around the suburbs of Newcastle, causing respiratory health concerns to a growing number of residents, but three tiny heritage buildings left on a clean-up site for 12 years are now all of a sudden a top priority pollution threat. 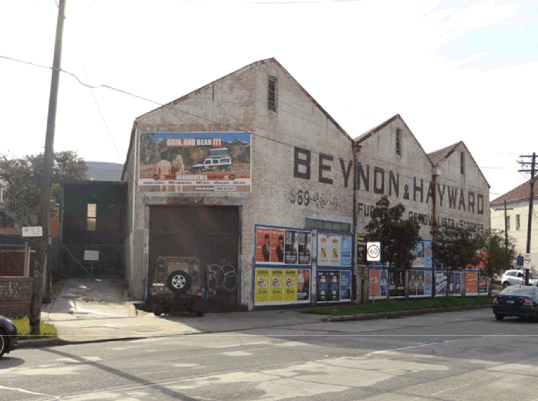 Perhaps, more than a decade after BHP left Mayfield, and after years of ongoing remediation already, the issue here is just a convenient way to get these buildings out of the way to allow for a true greenfield development of the site. BHP Steelworks site, remediation fact sheet image. 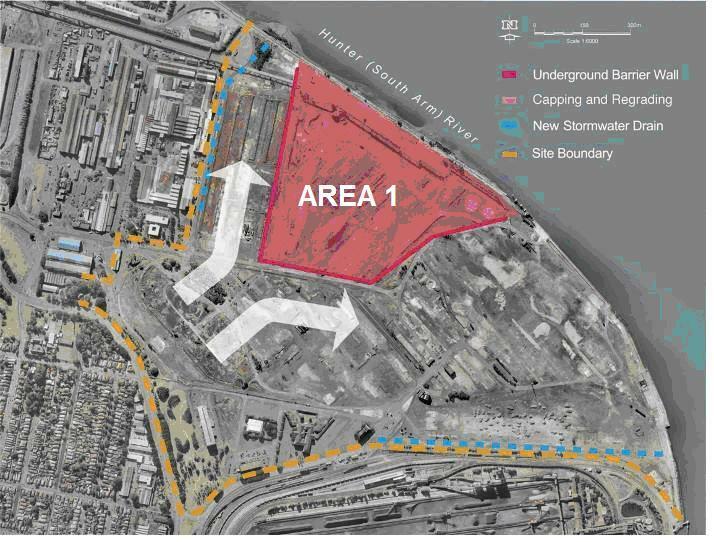 BHP Area 1 shown, remediation fact sheet image. 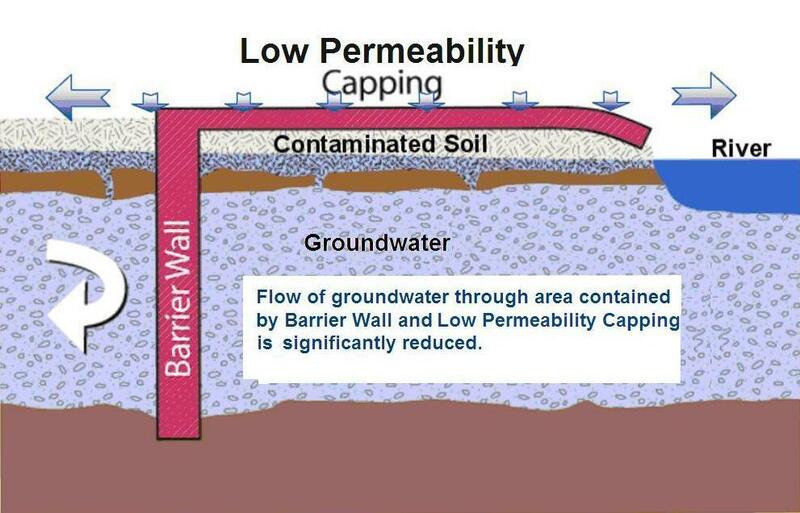 Area 1 remediation cross section showing work previously undertaken, remediation fact sheet image. 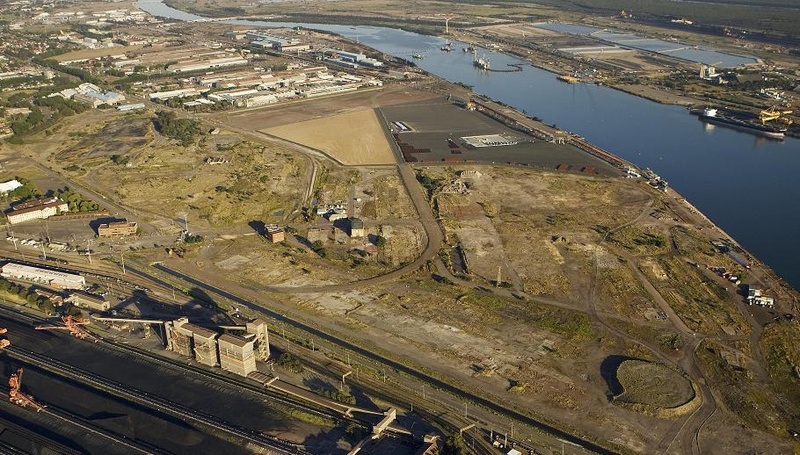 Video of former demolition of BHP steelworks site by Warren Haasnoot. 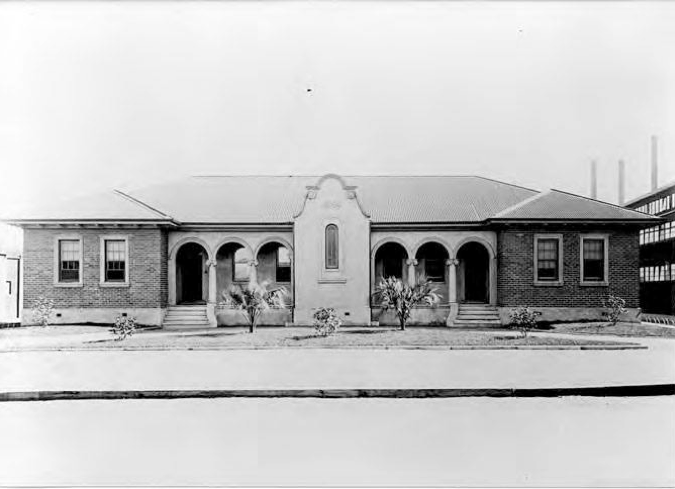 Main title image: Former BHP Mediacl Centre, courtesy Newcastle Industrial Heritage Association. The skyline of the southern NSW coastal town of Port Kembla will be forever changed when the iconic 198 metre Copper Smelter Stack is brought down by explosives. 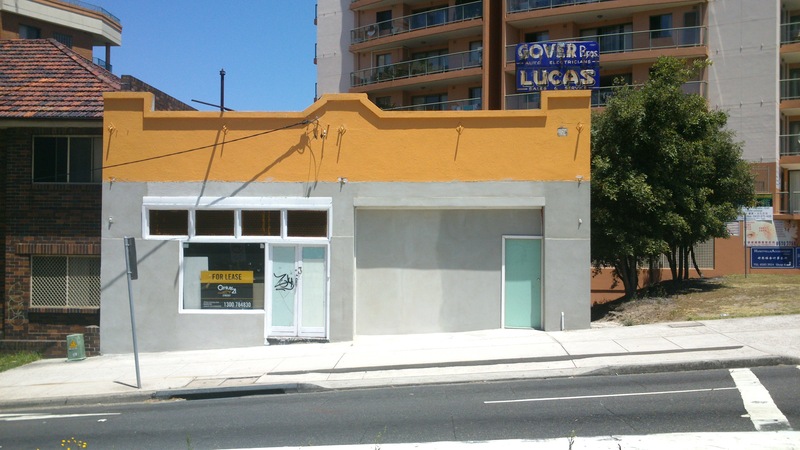 The State Government Planning Department has given final permission to remove the landmark, disused since 2003 but still a lingering reminder of the town’s industrial foundations, and visible from miles around and out to sea. For almost 50 years the stack has towered over the working class cottages of this city that hugs the rocky shelves of the Pacific Ocean, and is considered by many to be an icon of the area. 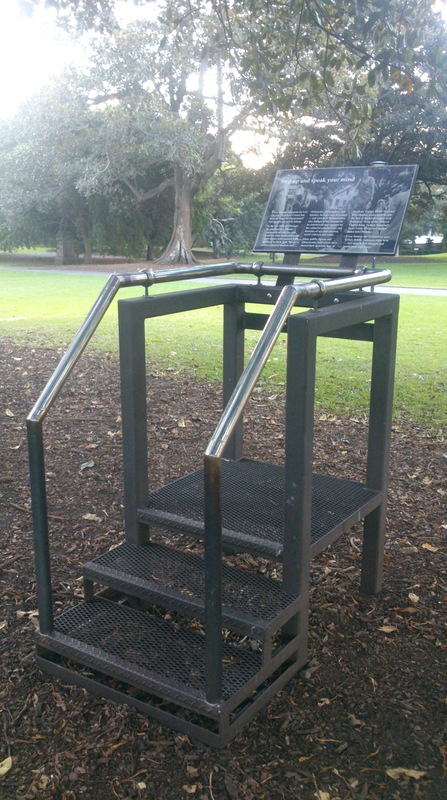 Certainly it is the most distinctive man-made object of the area, and one of the tallest chimney stacks in Australia. 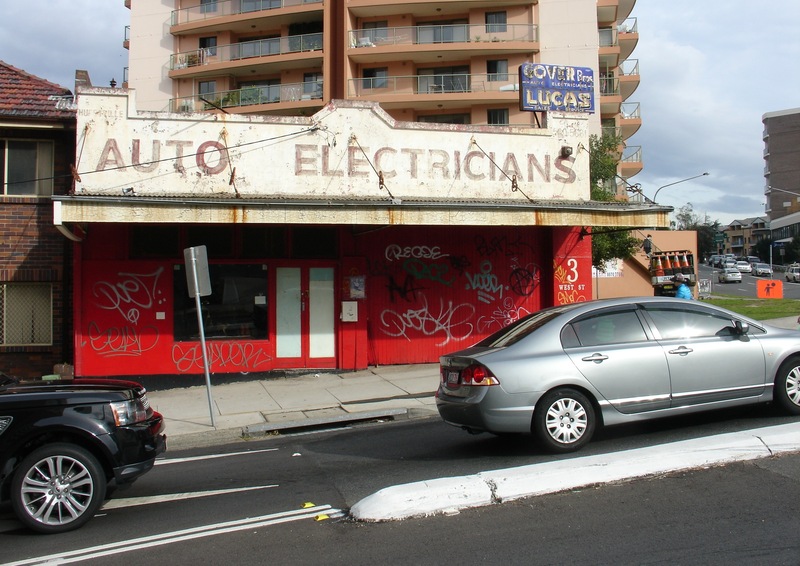 Whether it can be seen as beautifying or not, that is irrelevant in terms of heritage. Just because we may not think an object is attractive to the eye doesn’t mean its heritage value is not justified. On the contrary, heritage comes in many shapes and forms and the main point of reference is how it reminds us of how we once lived, worked, and grew as a nation. This constitutes true heritage, especially that of industrial heritage, where new techniques and ways of doing things are constantly evolving, thereby making redundant the old ways at regular intervals. Steam locomotives, for example, are redundant as an effective means of transport, does that mean we should scrap all steam trains and not allow future generations the opportunity to lay their hands and eyes on them as we have had ourselves in the past? Many would argue that to see a fully working steam locomotive in the flesh is far more impressive than today’s electric equivalent. And there could be no arguement that this smelting stack in Port Kembla is similarly impressive. 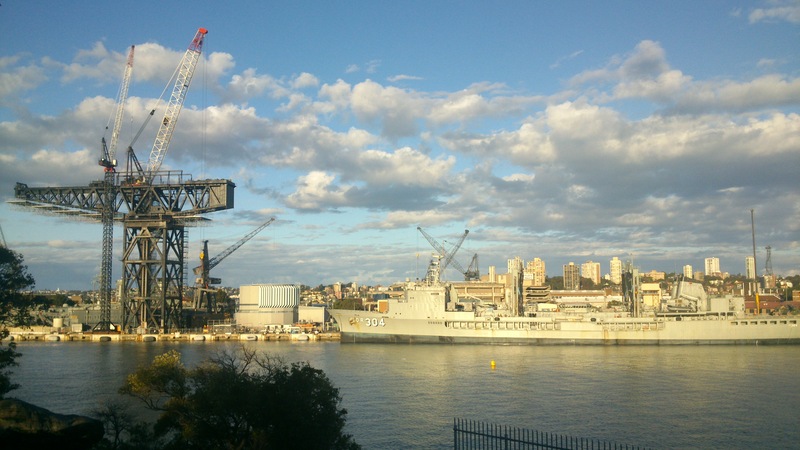 The Hammerhead Crane at Garden Island is a recent example of redundant technology, and the sad decision made by the Federal Government to scrap this crane is a reminder of how out of tune we are with our industrial heritage, and how far we stand behind the rest of the world with regard to our dire lack of respect for heritage retention. With decisions like this being made time and time again here in Australia in the 21st century, we as a nation will be the poorer. 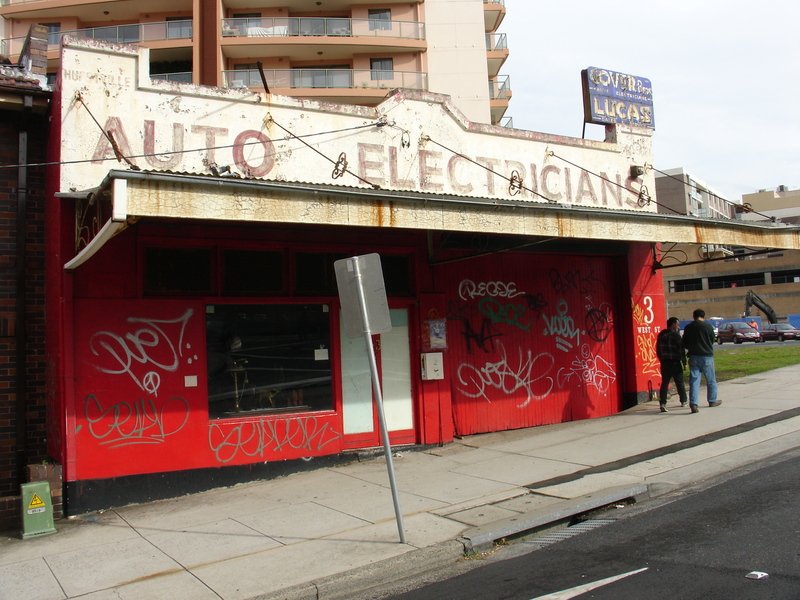 When we erase these visible symbols of our industrial heritage, we erase the links to our past. The people who worked these things slowly disappear, their knowledge and workmanship disappears, and then the structures are taken away, we are left with very little to remember what once was commonplace. Dominating the sleepy seaside townscape. Image flickr. An aerial view of the Port Kembla smoke stack. Image Illawarra Mercury. What the powers-that-be are saying to us, by allowing demolition of our heritage items en masse, is that our heritage is not important. They are saying to us “we don’t need these reminders, we only want to look to the future, to growth, to prosperity, nothing else matters…” and that “it’s not important for our children to see these things, there is no relevance of these things anymore, they do not belong here and they add no value to these places…” I am one who disagrees with this philosophy whole-heartedly. I believe there is a place for these things, I believe they represent who we are, and where we have come from, and to lose them means we are losing an innate part of who we are, of our own identity, and we shouldn’t be allowing short-term financial decisions alone to govern how we treat these objects of our inheritance. 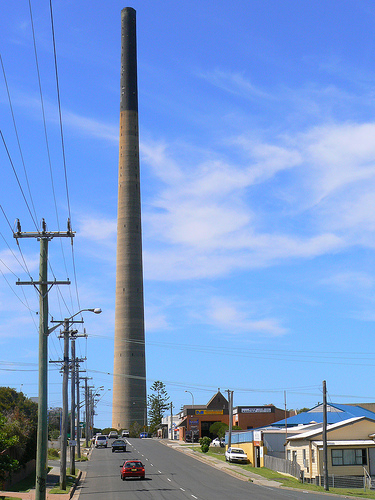 The copper smelter stack at Port Kembla represents Port Kembla… It is Port Kembla. Just as the Hammerhead Crane is Garden Island. When we strip these historic industrial places of their relevant monuments we are taking away something symbolic, and leaving behind a more generic display. 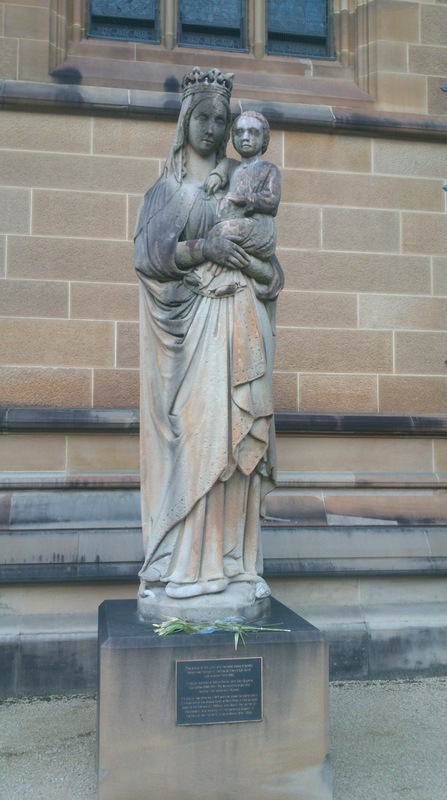 Many people in Port Kembla and around the Wollongong area won’t feel a need to commiserate or even commemorate the loss of such an object. They may even be glad to see the end of it. But whether they like it or not Port Kembla is an industrial working town, a lively hub of coal and steel that has helped shape Australia’s eastern seaboard growth. And so the smelter, this towering concrete and brick edifice, deserves its place watching over the landscape, it deserves its rightful position as a centrepiece of heritage standing sentinel over the tapestry of south coast industrial workings it helped create. A local lobby group known as Stack 360 would agree with me. They have the foresight to see that this industrial vestige can be much more than just a blight on the town as some believe. They have demonstrated what can be accomplished by lighting up the stack with sound and light displays, attracting the attention of locals and visitors alike, and turning the structure from an overdue relic into a tourist drawcard virtually overnight. With visions to go further and create viewing platforms atop the monumental tower (imagine the view), it seems that yesterday’s dirty industry can indeed be turned into tomorrow’s tourist industry as it has in many other countries around the world. Stack360 light show. Image Lightsounds. 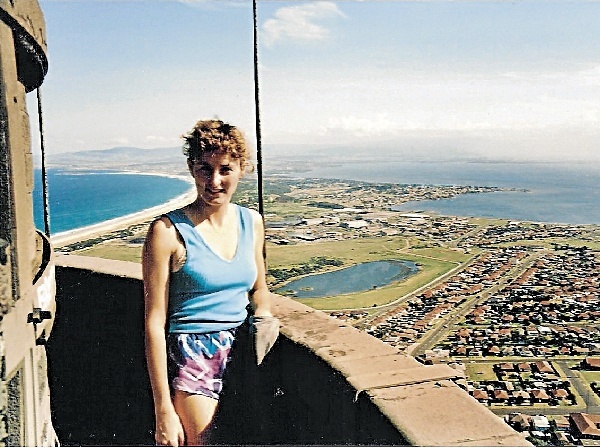 Kathy McCarthy photographed atop the stack on a rare employee viewing day in 1987. Image Illawarra Mercury. Unfortunately they may not get the chance. 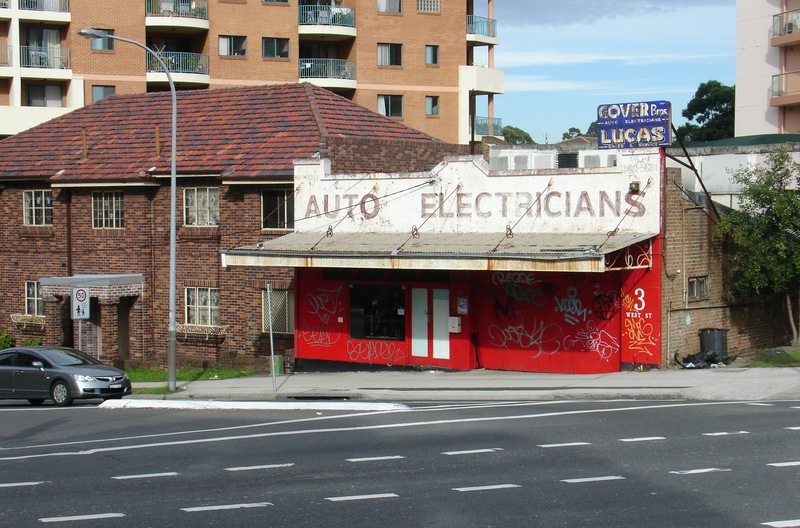 The site’s Japanese owners have declared they will not be saving the structure, which they claim suffers from concrete cancer, and demolition day had been set for 5 September. Port Kembla Copper had tossed up alternative techniques to demolish the stack after alarm was raised over the safe removal of asbestos within the expansion gaskets throughout the tower, and slower piece by piece removal was seen as a safer option to explosives. However explosive detonation was put firmly back on the agenda this year when a breakthrough occurred which could allow separate and safe removal of the expansion gaskets. 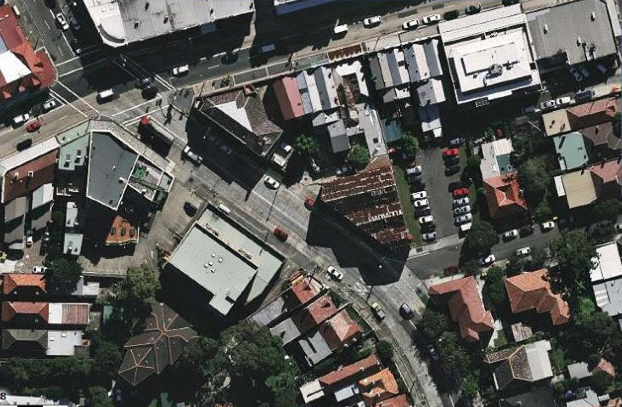 Even now at this late stage, safety is of major concern for the Department of Planning & Infrastructure, the EPA, WorkCover and Wollongong City Council, who have stepped in to postpone the date of 5 September until all safety requirements can duly be met. “No demolition will occur until the Government is satisfied the work is safe, the methods are appropriate and all relevant concerns and issues have been fully addressed,” a joint statement said. So for Port Kembla’s historic smelting stack, and industrial icon, the end, though not defined, is clearly near… Soon, maybe in September 2013, the stack will be felled and fall into a massive pile of rubble. Soon after that, the people who wanted it gone will have to find something else to talk about that they want gone. And soon again, after that, a meaningless business development will rise form its ashes. And then, when visitors ask the question, “what is there to see in Port Kembla?” where once we could have proudly replied “there’s a pretty impressive giant copper stack, one of the biggest in the country” now we will only be able to scratch our heads and throw up excuses. And not long after, this giant chimney will start to fade from our memories and we will even start to forget that it ever existed… Such is the way of the world. Main image Pic by Andy Zakeli, illawarra Mercury. An Interesting story from 2008 showing how things started to go wrong. – An ode to such things, from my book Envelope Windows. Facebook group Save the Stack.